Highly accurate and safe. 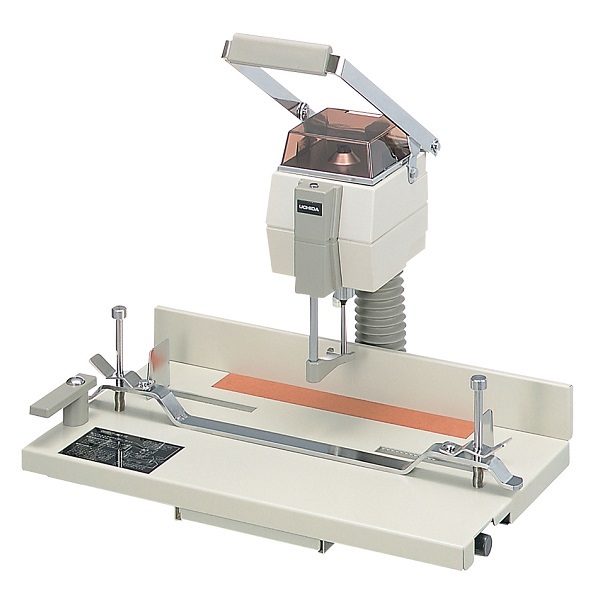 All UCHIDA paper drills are designed for simplicity and ease of use. The drilling position is automatically determined with a slide table. Specially designed and programmed pitch bar allows easy selection of desired hole pitch. The Uchida VS-25 is a simple to operate table-top drill offering a choice of two, three or four holes from four different bit sizes and thanks to an adjustable back margin, can cover most drilling demands. The sliding table ensures that the paper is always correctly positioned, while a selection of pitch phase programmes ensures that the right option of drill is made for each choice of application.